If you like movies and you like music then what could be better than movies with great soundtracks? That’s right nothing! Speaking of movies with great soundtracks you may have heard this song from the movie The Twilight Saga: Breaking Dawn Part 1 “It Will Rain” by the very talented Bruno Mars. You may have also listened to this song on repeat after a recent breakup or fight with your significant other. This song is the typical “I need you in my life because I’m better when I’m with you” type of song. 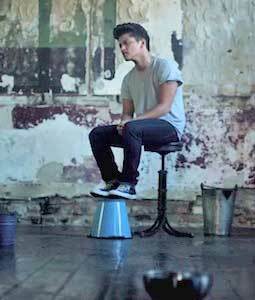 Bruno Mars sitting in distress wearing chucks. This song shows a darker side to love. It shows how love isn’t always that happily ever after fairytale we all want it to be. People fight; make mistakes and things tend to change throughout relationships and this song really expresses the theme of fighting for what you love. A close up of Bruno's chucks. Bruno Mars is the man. He’s an excellent singer, artist, has great hair and a cool fashion sense. 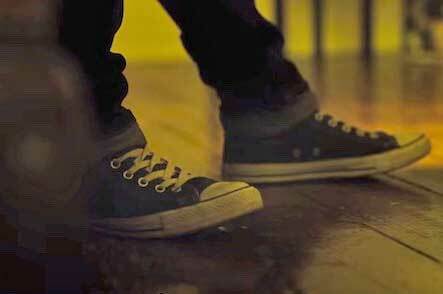 He also has great taste in shoes considering he is wearing chucks throughout most of the music video. Bruno Mars walking with his chucks. Get yourself a pair of black chucks by clicking on the links below.